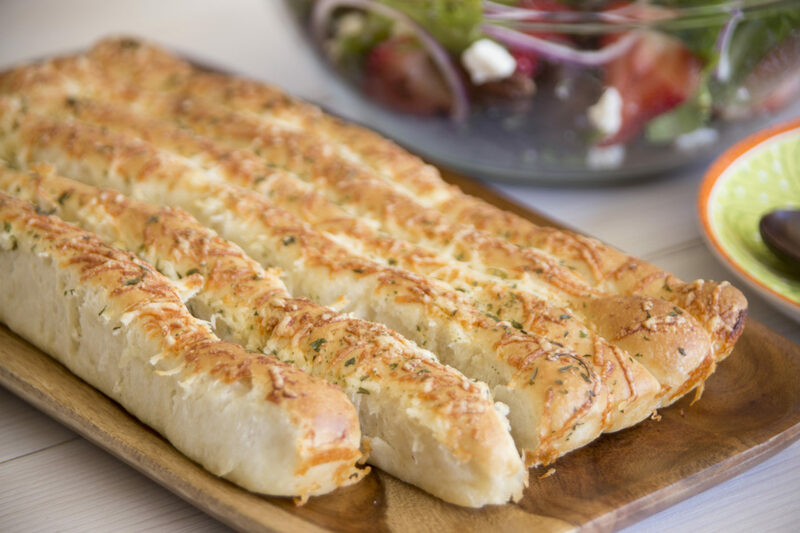 I have never found anyone who can resist these breadsticks. They are absolutely divine. Stretch and roll each Texas roll or 1 1/2 dinner rolls combined into a 14-inch rope (rolls will relax and end up being about 11-inches long). Place butter in shallow bowl. Dip each rope in butter and place horizontally on an 11×17-inch jelly roll pan. Drizzle any remaining butter over rolls. Sprinkle cheese over top and then parsley, if desired. Cover with plastic wrap and let rise until double in size, about 45-60 minutes. Remove wrap and bake at 350°F 20-25 minutes. Cover with foil last 5-10 minutes of baking if necessary to prevent cheese from over browning. Serve warm.